Hundreds of homeless kids in Loudoun County could have access to an entirely new world of reading because of the efforts of a 7th-grader at Belmont Ridge Middle School. Zach Pracher, 12, loves to read, but he realized other kids his age don't have the same opportunity to do so. 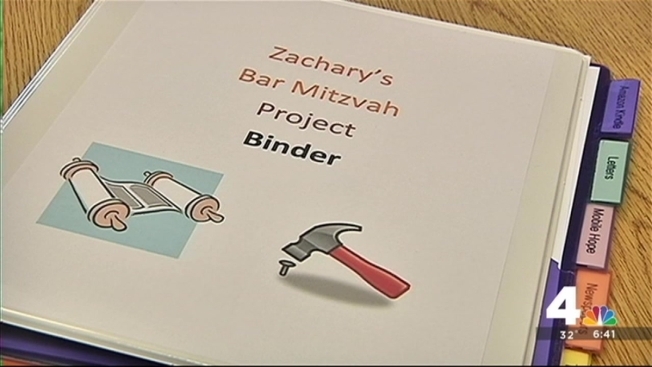 So for his Bar Mitzvah project, Zach is trying to raise $38,000 to buy 200 Amazon Kindles by July. Zach is teaming up with Mobile Hope Loudoun, a group that works with homeless children, to hand them out. He's created a Facebook page and a GoFundMe account. So far he's raised more than $1,600. Allyson Ruscitella with Mobile Hope Loudoun says donations can be sent to her organization at PO Box 4135 Ashburn, Virginia, 20148. Please mark the donation for Zach's Kindle project.